Is the Dodo Effect Dead? 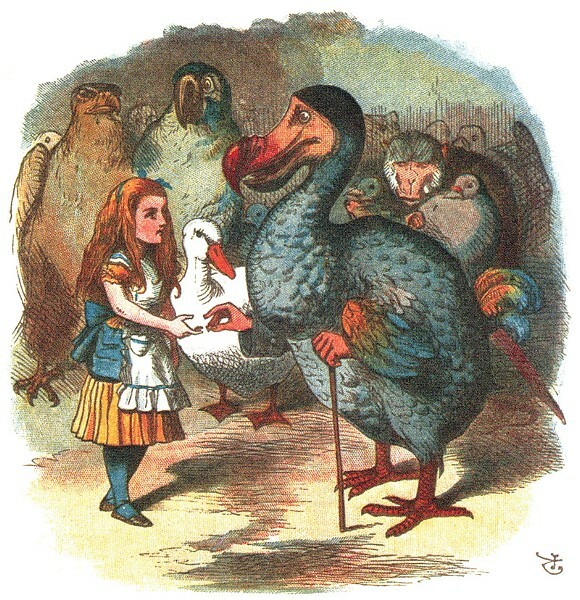 Alice and the dodo bird by Sir John Tenniel. In 1936, American psychologist Saul Rosenzweig published a paper in The American Journal of Orthopsychiatry that made waves still felt 80 years later. Reviewing the various types of talk therapy available at the time, he noted that "no type of psychotherapy is without cures to its credit," and the "dodo effect," as he called it, was the likely cause. In Alice in Wonderland, the dodo was asked to decide the winner of a race. "Everybody has won and all must have prizes," he declared. Same with talk therapies, proposed Rosenzweig: They all work equally well. Why? Not for the reasons promulgated by their proponents, but simply due to human nature. Once troubled souls have signed up — be it for interpersonal therapy, neurolinguistic programming, cognitive behavior therapy (CBT), psychoanalysis, or any of the dozens of other approaches — they've persuaded themselves to expect a positive outcome. After that, having a skilled and sympathetic therapist who they believe will help them is often all it takes to effect a cure — a sort of placebo response. Whether it's as straightforward as this or not has been a major point of contention in the mental health field since the 1930s. Having followed this debate for some decades, and believing that on balance Rosenzweig's dodo effect hypothesis was probably correct, I was caught short by a Danish report published in the January 2014 American Journal of Psychiatry claiming that a particular type of therapy was the clear winner when it came to treating bulimia. Bulimia nervosa is a devastating eating disorder in which sufferers, in obsessing about their weight and body shape, take laxatives or make themselves vomit after bouts of binge eating. It affects teens in particular; about 1 percent of 13-to-18-year-old adolescents in this country experience the condition at some point, with many reporting suicidal fantasies or actual attempts. To assess the two most commonly prescribed therapies, psychoanalysis and CBT, researchers at the University of Copenhagen randomly assigned 70 bulimics to one program or another. The psychoanalysis group members each spent two years in weekly sessions in which they were encouraged to discuss, and then to accept, buried feelings and desires, in order to negate the underlying causes of bulimia. In contrast, clients in the CBT group only received five months of weekly sessions in which subjects targeted their symptoms without reference to historical causes; CBT maintains that bulimics believe weight and body shape determine their self-worth, and that recovery lies in challenging and negating this belief. In the big picture, this study appears to disprove the dodo effect; some therapies really are more effective for specific conditions. Which I suppose may not be all that surprising, considering the incredible complexity of both human behavior and the human brain.